The story of Anne Frank is well known. 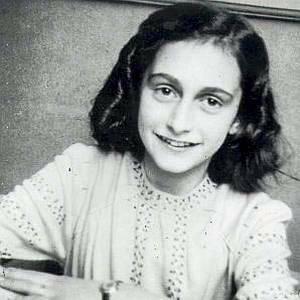 Anne was a Jewish girl living in the Netherlands. She went into hiding in a concealed apartment during World War II with her family to escape from the Nazis. Hidden by a friendly Dutch family for two years, the family was eventually discovered and deported to concentration camps. Anne died of starvation and disease in Bergen-Belsen, a German death camp. Anne’s father, Otto Frank, was the only family member to survive. The diary kept by Anne Frank while in hiding has become a world classic. Now unless you have been living under a rock for the last week, you know exactly where I am going with this. On Friday, January 27th, which just happens to be Holocaust Remembrance Day, President Donald Trump signed an executive order halting all refugee resettlement in the United States for 120 days and resettlement of Syrian refugees indefinitely. The rationale for this wide ranging ban is the same one used to justify denial of sanctuary to the Frank family. National security is once again being invoked to deny innocent victims of genocidal violence the opportunity to live. It is not enough that we have on our hands the blood of the Holocaust. Now the current administration would add to that the blood of countless refugees seeking asylum from the carnage in Syria and other nations. In my view, this is not, in the main, a “political” issue. The command to care for the foreigner and the resident alien are as old as the Hebrew Scriptures and expressed with crystal clarity in the gospels. National security, however important that might be, cannot be invoked to ignore the call of Jesus Christ to love one’s neighbor. Last I checked, there is no exception in the scriptures for Muslims. Since 1939 Lutheran Immigration and Refugee Services (LIRS) has been answering the call of Jesus by advocating for the acceptance of refugees from all over the world into our neighborhoods, sponsoring them through our churches and assisting them with the provision of education, job opportunities and integration into our communities. In the wake of World War II, LIRS resettled thousands of refugees displaced by that carnage, many of whom went on to become leaders in church and community. After the fall of South Vietnam, LIRS resettled thousands of displaced Vietnamese, Cambodian and Laotian families within our borders whose communities have enriched our culture and contributed to our economy. We are doing absolutely nothing different today and, God willing, we will be doing nothing different in the years to come. Caring for refugees lies at the heart of being a discipleship of Jesus. As the GEICO commercial says, “It’s what you do.” This is not Republican or Democrat, liberal or conservative. It’s just Jesus. But what about national security? What about the possibility that we might be letting into our country people who are dangerous? Shouldn’t we be concerned about that? The answer is that, of course, the government should concern itself with the safety of its citizens. Vetting is and always has been a part of refugee resettlement in the United States. Anyone working at LIRS can tell you that vetting already is extreme and that it is hard to imagine how one could make it more extreme. Background checks with every nation in which a refugee has ever resided, iris I.D.s, fingerprinting and numerous exhaustive interviews at the international, national and local level are all part of the cumbersome process of resettlement. The government also requires proof of sponsorship for refugees by local agencies, churches or other non-profit groups before allowing them into the country. The repeated claim that there are millions of anonymous, unvetted and potentially dangerous refugees flooding into our country does not square with what those of us in the business of resettlement for the last seven decades know to be true. The oft repeated threat of an uncontrolled refugee influx is what we have now learned to call an “alternative fact.” (Back when I was a kid, we called it a lie). But putting the truth aside for just a moment and assuming, for the sake of argument, that the “alternative fact” about the dangerousness of refugees is a “fact fact,” that is, a real fact, the picture does not change. Jesus never promised that loving your neighbor would be safe or easy. The term “neighbor” includes the “enemy.” Loving your enemy can get you nailed to a cross. Jesus said in no uncertain terms that “where I am, there will my servant be also.” Very simply, to be a disciple of Jesus is to follow Jesus in doing what Jesus did-loving the enemy that nails you to the cross. If you identify as a Christian, you can’t justify refusing to welcome refugees into your community with the argument that they might hurt you or your family-even when you dress it up with lofty sounding titles like “national security.” You follow Jesus by embracing your neighbor and any cross that might come with him/her, or you decide that following Jesus is too dangerous and decide to play it safe. Follow or don’t follow him. Simple, but not easy. Enough talk. Now I am going to ask you to do something; to take a step in your discipleship with Jesus. I am asking you to speak up for your neighbors in Syria and refugees all over the world caught between death threats to themselves and their children on the one hand and a closed border on the other. Please, please. please take a moment and write a letter in these or your own words to your representatives whose names and addresses appear below. Alternatively, you can go directly to the LIRS website and send them an e-mail or make a phone call. However you do it, let your representatives know that refugee lives matter to you. Let them know that you welcome these endangered neighbors in your community-just as Jesus has welcomed us under his gentle reign. As the great British philosopher and statesman Edmund Burk once said, “all that is necessary for evil to succeed is that good men do nothing.” Don’t do nothing. I’m your constituent from [your town], New Jersey, and I am appalled by President Trump’s decision to pause the refugee resettlement program for any period of time. I also support the resettlement of Syrian refugees and other Muslim refugees fleeing terror. I believe the United States needs to continue to be a global leader for refugee resettlement and we should honor our commitment to resettle the most vulnerable. I am also strongly opposed to President Trump’s decision to expand detention and prevent asylum-seeking Central Americans women, children, and families from seeking protection in the U.S. These discriminatory announcements run contrary to what Christ called us to do and who we are as a nation. It does not reflect the welcome for refugees and migrants I see in my community every day. I urge you to do everything in your power to see this announcement reversed. Stopped reading these comments because I feel the writer was disrespectful to Reverend Graham. Not because his thoughts were different but by calling him Frank his words lost meaning. State your points, your concerns, your beliefs but be respectful.